THE Board of national grain farmer representative organisation, Grain Growers Limited (GrainGrowers), is updating its management structure, transitioning to a single CEO after operating with a dual CEO structure. A year ago GrainGrowers announced the appointment of joint CEOs to lead the organisation: former general manager of industry development, Michael Southan, and former general manager of policy and innovation, David McKeon. In the latest restructure, Mr McKeon has been appointed to lead the organisation into the future as CEO, while Mr Southan will leave the organisation at the end of December 2018, after completing a number of projects for the Board. ANDREW Goyder has been named chairman of Grain Trade Australia (GTA), succeeding Peter Reading who retired after six years in the position. Mr Goyder currently is principal of GrainLink Pty Ltd, a medium-size grain marketing business in Western Australia. 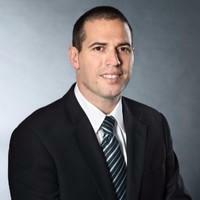 He also is a member of the GTA board of directors. Mr Reading said the time to step down as chairman was right from both an industry and organisation perspective. In early July, GTA and the Australian Grain Exporters Association (AGEA) reached an agreement to combine, part of a larger effort to improve efficiency and effectiveness of industry representation within the grain industry in Australia. As part of the effort, AGEA said it would eliminate its current structure and re-form as the Australian Grain Exporters Council (AGEC). AGEC will become the first sector council to establish a new model for representation being offered through GTA. Following an extensive search and selection process, Kevin Boyle will commence in the role on August 20, succeeding Ben Abbot who has stepped down. BLM is a wholly-owned subsidiary of CBH and a manufacturer of premium Australian oat products with operations in South Australia and Victoria. Its head office is in Bordertown, South Australia. Mr Boyle’s appointment comes as BLM commences operations of its new 60,000-tonne oat processing facility at CBH’s Metro Grain Centre in Forrestfield, Western Australia, following a successful commissioning process. The changeover will take effect after AgForce’s annual general meeting on November 20. 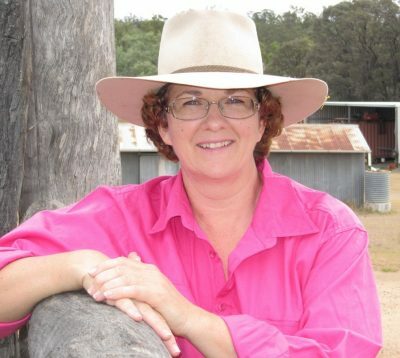 Mrs Somerset, who will become AgForce’s first female general president, steps up to the position after serving in various roles for AgForce since its inception, including vice-president/deputy chair and South-East Queensland regional director over the past four years. 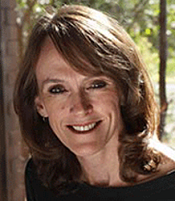 AUSTRALIA’s national science agency, CSIRO, has appointed Dr Cathy Foley to the position of chief scientist – a unique role which will help champion science, its impact and contribution to the world. Dr Foley is a world-renowned physicist and science leader most noted for her work developing superconducting devices and systems which have assisted in unearthing over $6 billion in minerals worldwide. She will start in the role at the end of September. 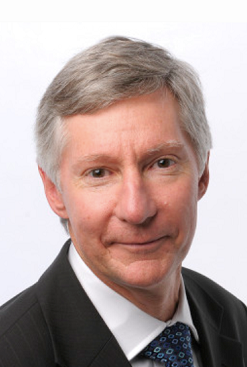 Dr Foley joined the CSIRO Division of Applied Physics in 1985 as a national research fellow, being promoted to senior research scientist in 1991, principal research scientist in 1996, senior principal research scientist in 2000 and chief research scientist in 2008. WAFarmers has announced Trent Kensett-Smith has resigned from his position of Chief Executive Officer of the organisation. Mr Kensett-Smith has made the decision to return to the agribusiness sector. He is leaving the WAFarmers organisation to pursue these interests. The WAFarmers Board of Directors will begin the process of recruitment for a new CEO immediately. 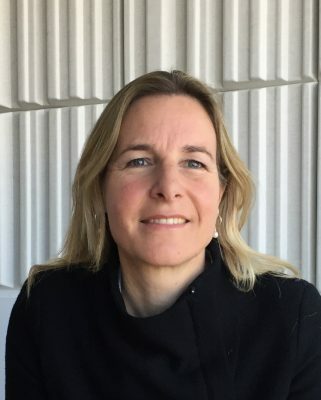 Rabobank Australia and New Zealand Group has announced the appointment of Karin van Selm to the position of group executive, wholesale banking. Ms van Selm takes over from Els Kamphof, who has been appointed to head the regional wholesale banking operations for Rabobank in the Netherlands and Africa. Rabobank Australia and New Zealand Group managing director Peter Knoblanche said Ms van Selm had led the development of a significantly-enhanced wholesale loan products group, providing for the increasingly complex and sophisticated requirements of the bank’s large corporate clients operating in the food and agribusiness sector. “Karin has extensive experience and exceptional understanding of the corporate banking needs of major companies involved in the food and agricultural sector,” he said. Ms van Selm said Rabobank’s specialist knowledge of the food and agricultural supply chain provided significant opportunities for the bank to collaborate with its clients to grow and strengthen the sector. 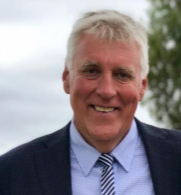 THE CBH Group has appointed David Lock as an independent director of the CBH Board for a three-year term to take effect early in 2019. 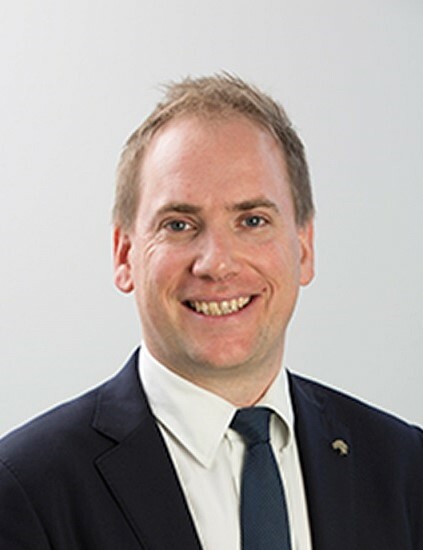 Mr Lock presently holds several board roles across food and agriculture industries and is an external member of the Curtin University Faculty of Business and Law advisory council. He was managing director and chief executive officer of the Craig Mostyn Group for 12 years. Mr Lock will replace David Willis who is retiring from the Board after nine years. CBH has nine member-elected grower directors and three independent directors. THE Grains Research and Development Corporation’s (GRDC) Regional Cropping Solutions Network has been bolstered by the addition of four new members to help identify and prioritise constraints and opportunities for farm profitability in southern New South Wales. The four new members include grain grower Chris Holland, Young; grain grower Murray Scholz, Henty; agronomist David Crowley, Young; and grower Laura Kaylock, Moulamein. They join existing members Andrew Carmichael, grower/consultant (Coolamon), Heidi Gooden, grower/agronomist (Lockhart), Peter Hill agronomist, (Griffith), Jochim Jager, grower (Hillston), Jeff McCormick, lecturer (CSU, Wagga), Geoff McLeod, grower (Finley), John Pattison, grower (Marrar) and Ian Trevethan, grower (Howlong). GRDC southern RCSN coordinator Chris Minehan said the new members would bring valuable knowledge, experience and passion to the panel. “Whilst the knowledge, networks and skills of members is the primary consideration, we also want members from a range of geographical locations and rainfall zones,” Mr Minehan said. 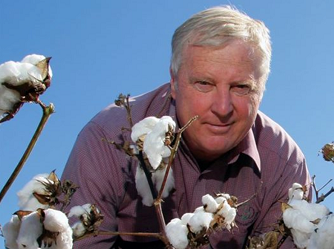 THE Australian cotton industry has lost one of its long-time contributors, with the death of renowned plant pathologist Stephen Allen. Dr Allen spent 39 years in the industry, working to broaden understanding around managing diseases affecting cotton plants. He was renowned for being a research leader in Fusarium Wilt in cotton. EIGHT regional engagement officers have been appointed in local communities of the Murray–Darling Basin to ensure on-ground knowledge and experience continues to be a core part of Basin Plan implementation. MDBA Chief Executive Phillip Glyde said an improved regional presence was an essential part of the MDBA’s ability to learn from local experience and knowledge. “We have recruited experienced people with strong local connections and valuable technical knowledge. While they focus on regional needs, their influence as a team will also cross catchments and state borders to make the most of their complementary skills,” Mr Glyde said. “The officers will work directly with farmers, environmental and community groups, Indigenous communities, local government and other stakeholders to learn from and address the concerns of people most affected by and interested in the Basin Plan.